Lock in a great price for Guesthouse Kandilj - rated 9 by recent guests. Staff is very friendly, always willing to help. I loved that we were picked up and dropped off at the airport. Also the hotel is 5-10 walk from the Old town in a very quiet street. Staff is fabulous, apartment was spacious and well decorated, the included breakfast is excellent. Highly recomend. Fantastic location 5 minutes walk from old town area. Great breakfast included freshly cooked omelet. All of the staff were very friendly and helpful, including collecting us from the bus station for free at 11.30pm ( our bus arrived an hour late but they happily accommodated this). The lovely women in the breakfast room also taught us some Bosnian. Breakfast is good, airport pick us up service, friendly and kindness staff is also good. 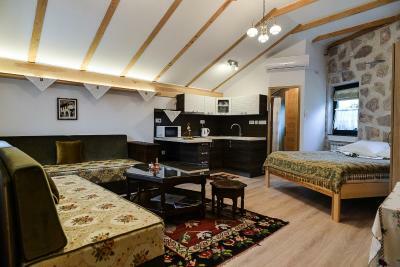 Apartment is nicely furnished in traditional style and it's close to the old city center. Staff are friendly, kind and very helpful. Breakfast is not so rich, but it's very tasty, especially fresh omelette and Bosnian coffee. I would recommend this place ! 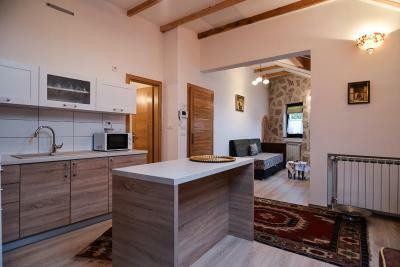 Good location close to the city center. The apartment is well designed with nice classic furniture. Good breakfast. The staffs especially Adi who is very helpful, warm and nice person. Love Kandilj! Cozy. Thank you again to the very friendly staff! Hope to be back! 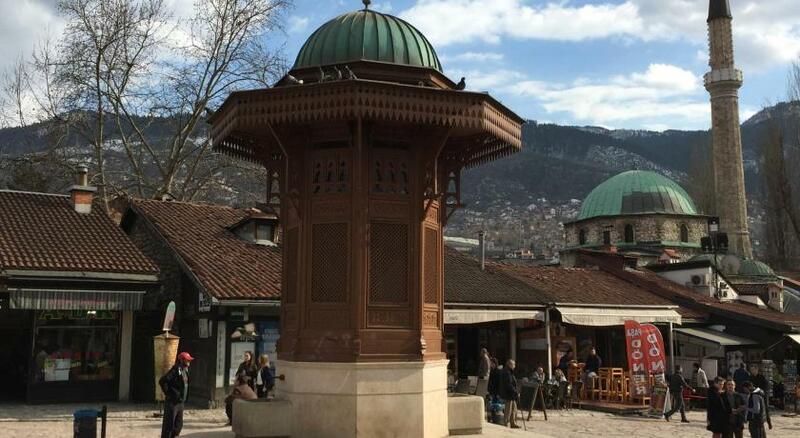 One of our top picks in Sarajevo.Guesthouse Kandilj is situated in the heart of the bazaar Baščaršija in the oldest part of Sarajevo, combining traditional Bosnian atmosphere and modern comfort. Free WiFi access is available. 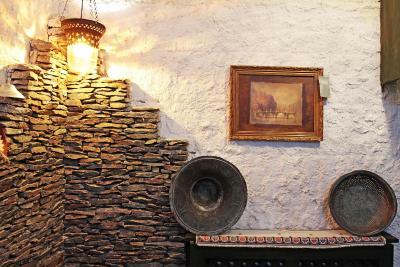 The guest house offers traditionally decorated rooms with paintings and art handicraft which depicts the country's rich history and culture, equipped with Internet and other up-to-date amenities. Offering full bed and breakfast services, the Kandilj is an inviting retreat for leisure and business travellers alike. 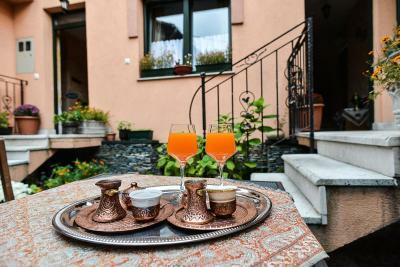 Escape from daily routines and enjoy an aromatic Bosnian coffee in the lush green garden. Comfort, tranquility and cleanliness are important features of the Kandilj, providing peaceful nights and a truly relaxing stay. 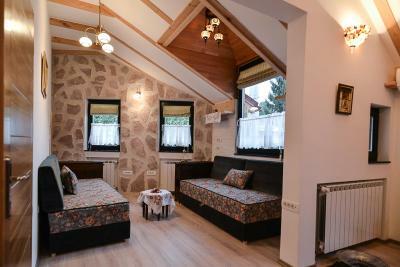 Guesthouse Kandilj has been welcoming Booking.com guests since 5 Oct 2008. 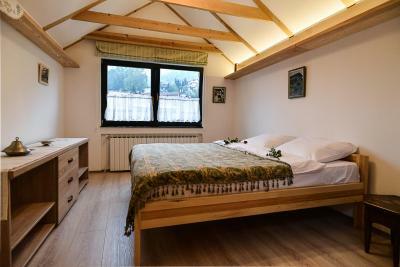 When would you like to stay at Guesthouse Kandilj? Brightly furnished room featuring air-conditioning, satellite TV and a desk. Private bathroom provides a shower and hairdryer. This apartment has air conditioning, satellite TV and electric kettle. Please note that the apartments are located in another building, some 200 metres uphill from the property. This studio has air conditioning, satellite TV and electric kettle. This studio has air conditioning, satellite TV and it is set on the ground floor. 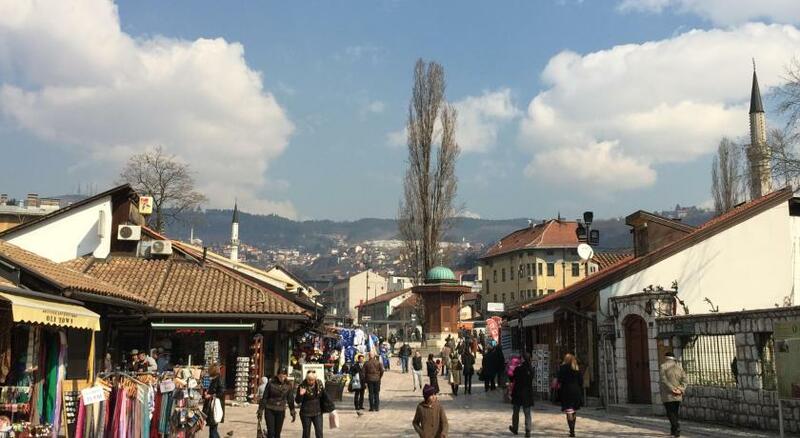 Experience true welcome of Bosnian people just like in the old times, and enjoy your visit to Sarajevo as if you in Your own house! Your visit to Kandilj is like coming home but in other contry ! House rules Guesthouse Kandilj takes special requests - add in the next step! Guesthouse Kandilj accepts these cards and reserves the right to temporarily hold an amount prior to arrival. The guesthouse is in a 10 star location. 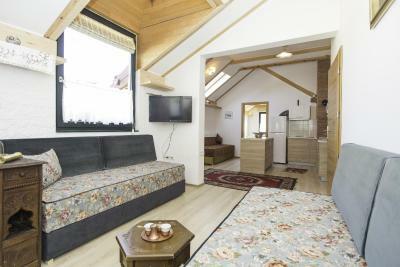 The apartments are a steep walk past the guesthouse at 5 Balibegovica. It can be tiring after a long day sightseeing or if you are out of shape. Nothing really. Although we were only 2 in a triple room and 3 would be a tight squeeze especially with luggage as well. Only minor remarks... If this place would have private parking, it would be perfect. Also triple room is a little bit small and tight, but it has the same price as studio apartment which is much more comfortable. Not very good area for arriving with car, narrow streets, not much parking space. 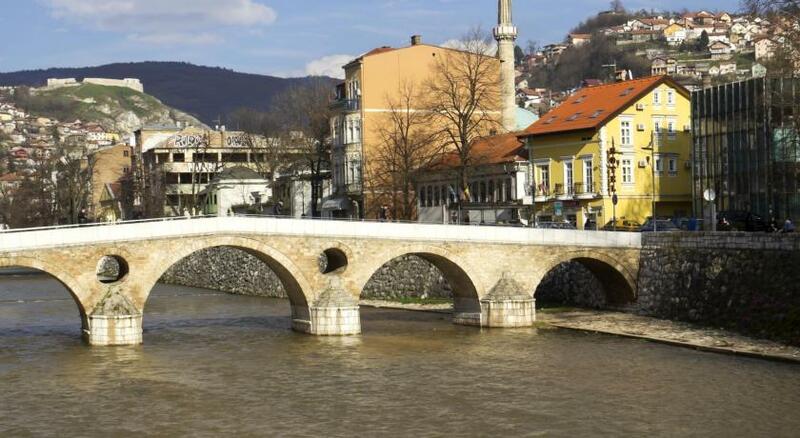 Perfect location, close to city centre and many interesting sights. It is not just this pmsce but others. They use laundry detergents with heavy perfumes which is annoying. Staff were very friendly and helpful. For example, they gave us a ride to the bus station. We went to pay and they refused. They just wanted to help us. Also the breakfasts provided with the room were good. 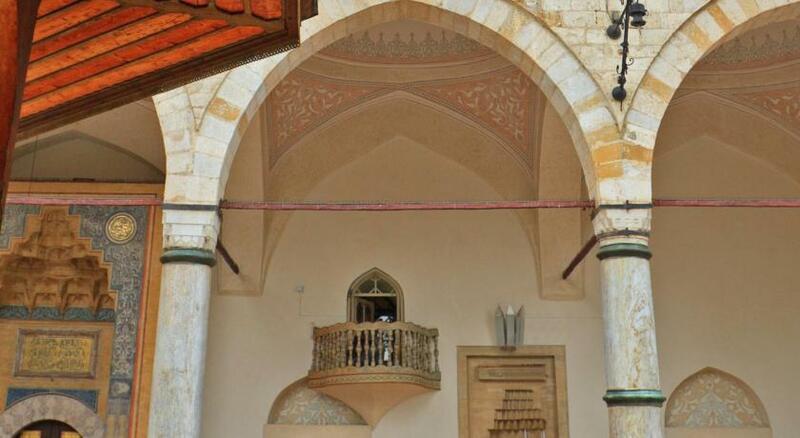 The location is close to the market and the tourist area if that is what you like. But you can also walk to parks and museums. would prefer and recommend to stay at the main guest building, because the one we stayed is located on a steep slope. Everything was great - a very central location, perfectly clean, but the staff was absolutely amazing - they are the highlight of this place!